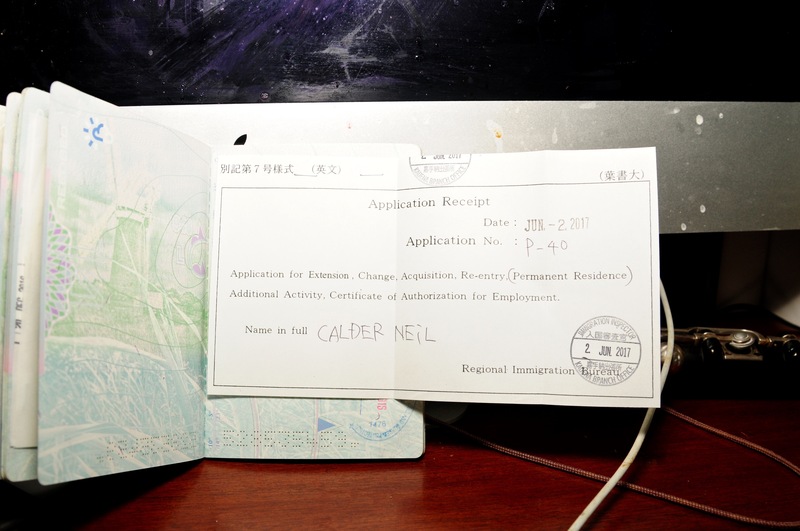 So, today I hand in my application dossier for permanent resident status in Japan. The process is ridiculously easy. All the documents needed are less than 15. All are easily come by. 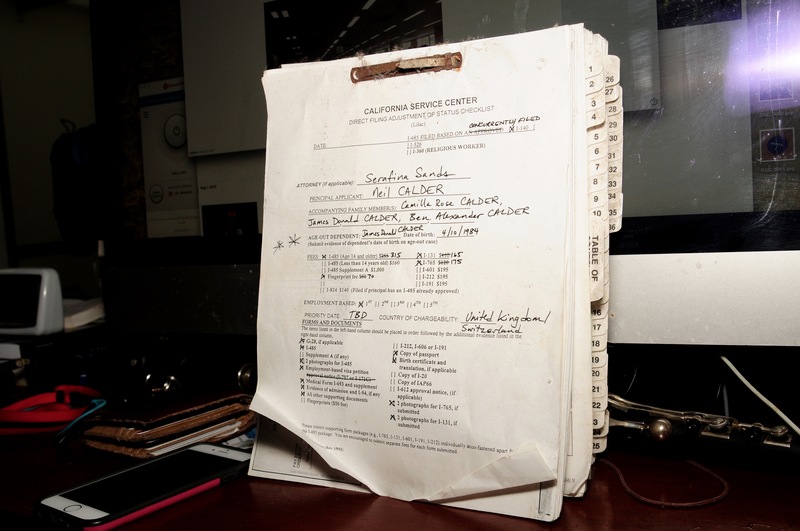 My U.S. Green Card application took 6 months of work with an attorney resulting in a file 4 inches thick. 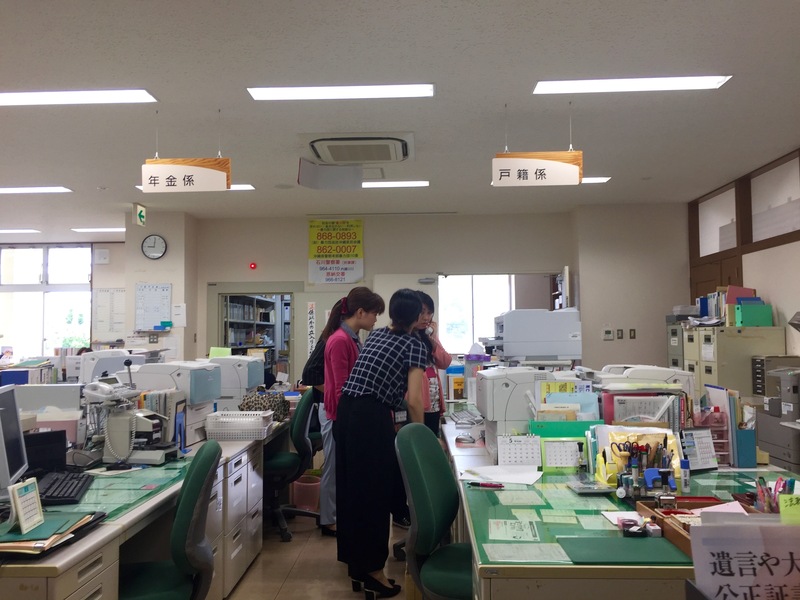 A couple of days ago, I went to the Onna village office to get some documents related to paying local taxation. Such visits are always a joy. Lots of grinning ladies help me. 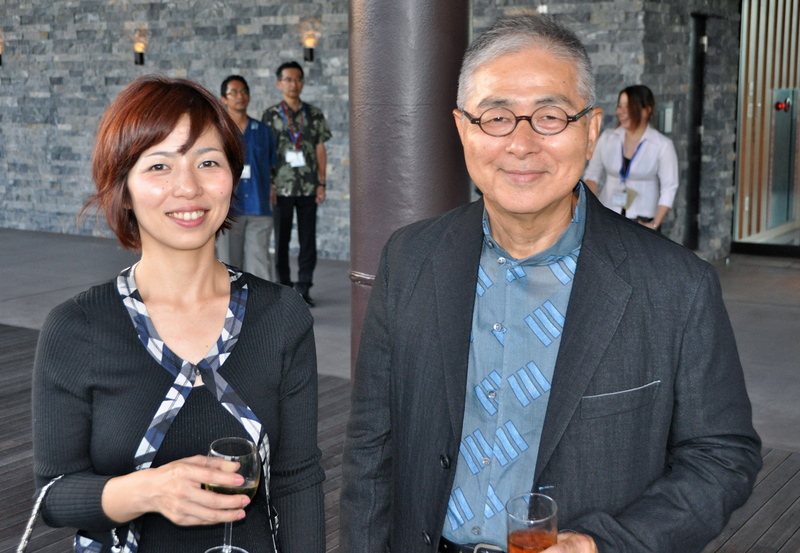 A man whom I revere, Yamada Shinman sensei, agrees to sponsor me. 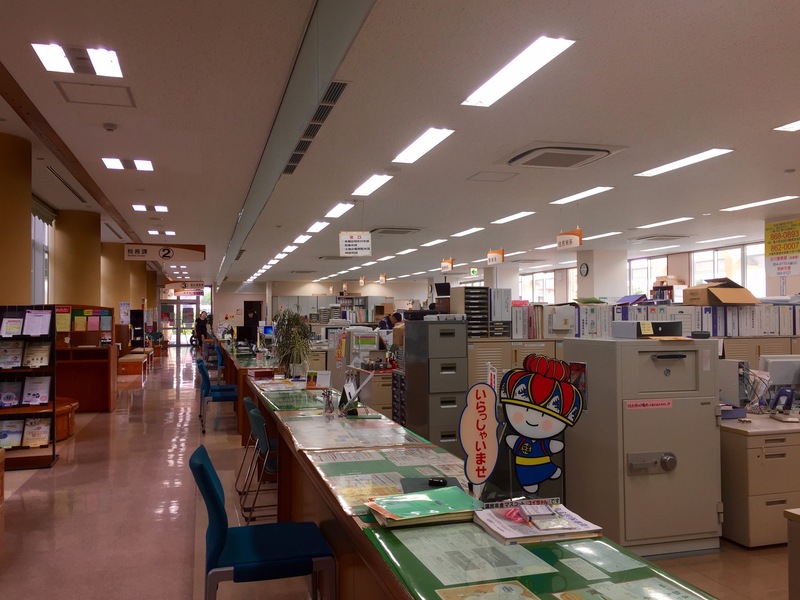 Anyway, I get all my papers together and head on down to the Immigration Office in Kadena. This is my entire dossier. 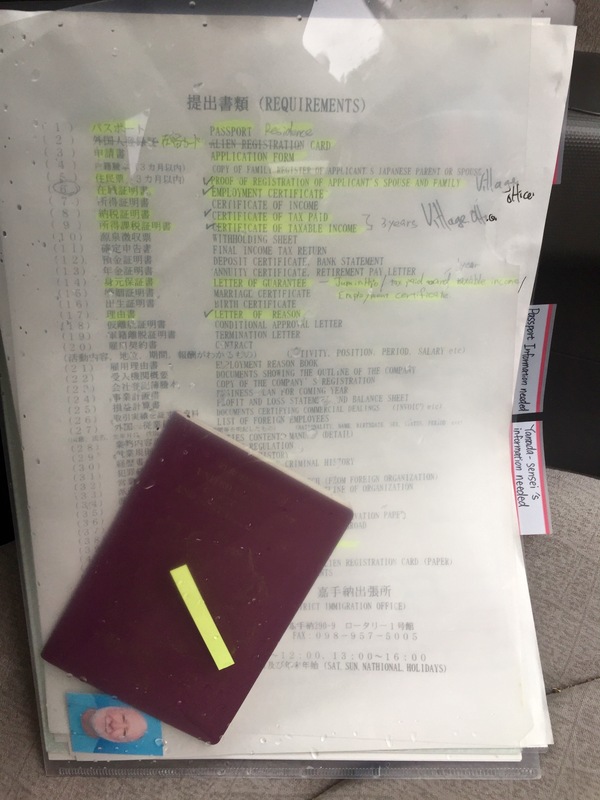 My Green Card dossier, which miraculously is hanging around in Okinawa. Compare and contrast. If I succeed in this application, I will be able to live in Japan for the rest of my life. An outcome dearly to be wished. I cannot really think of many reasons as to why they would accept my application as it confers the world’s best health care for life and free walking sticks. I suppose we just wait and see. Bonne chance from the depths of la France Profonde! A tiny hamlet, Viales. Five houses surrounded by forests, mountains and plagued by wild boars. Further from Parisian chic it would be hard to get. An old friend of Eliane hangs on to her old family home here and all is splendidly rustic. Is there are a special ceremony when they pass you as suitable to be given residence? Something involving chanting and the drinking of special potions?